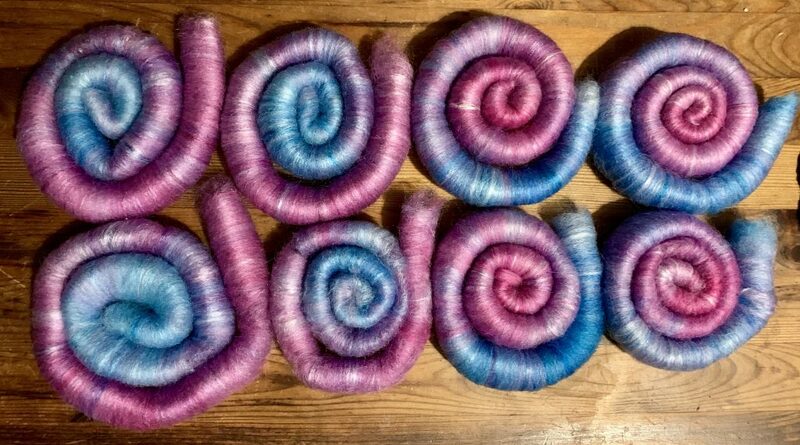 Apparently I’ve been spinning a lot! :o) I’d better catch up on some writing or I’ll end up far behind! 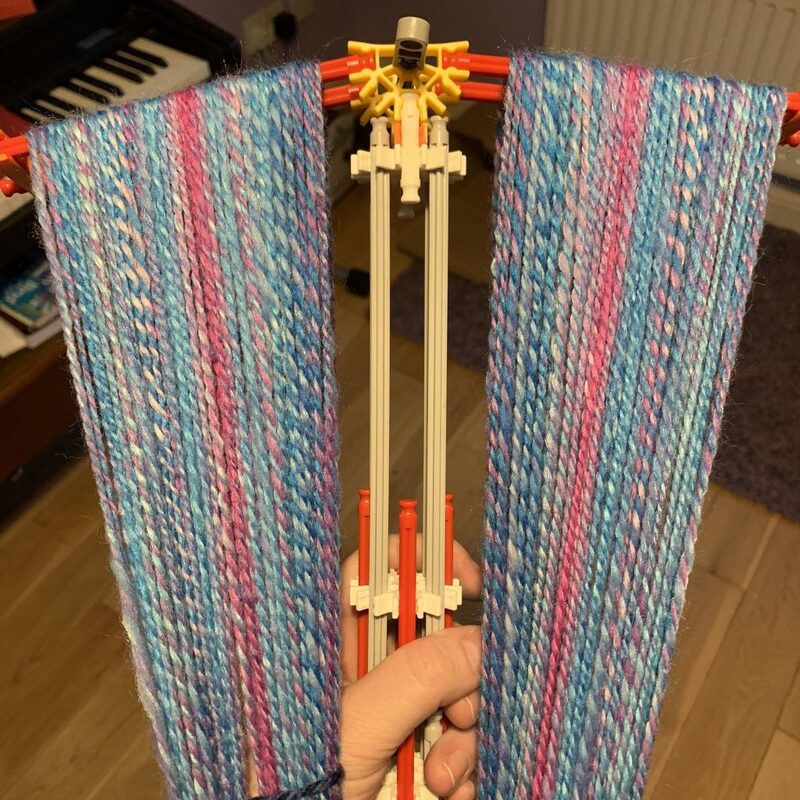 Over the weekend I spun up another 2 braids but I’ll split them across 2 posts for easier referencing later. 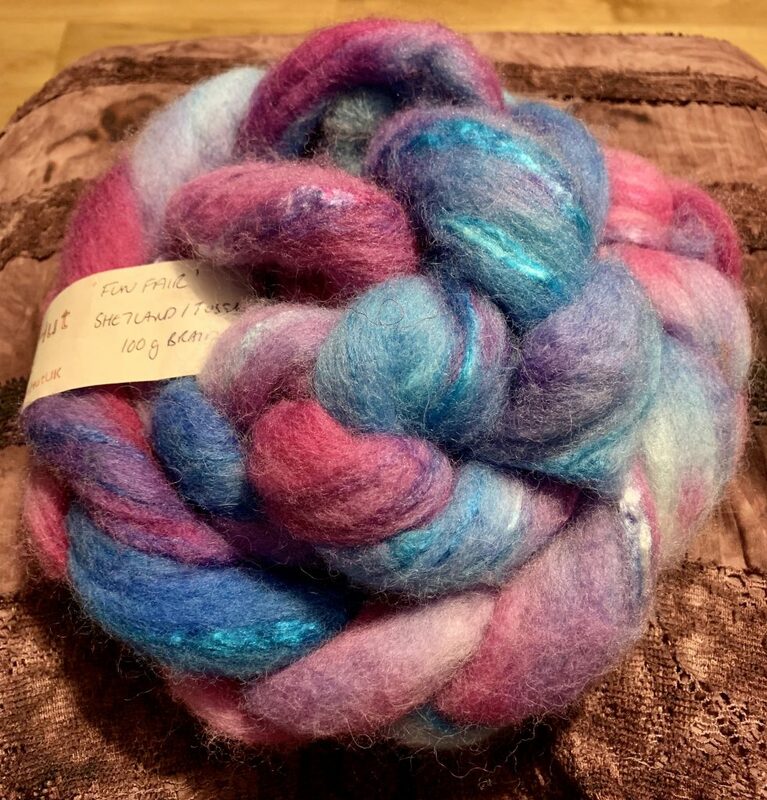 The first one was this Shetland and Tussah Silk mix, again from The Shepherd’s Hut. 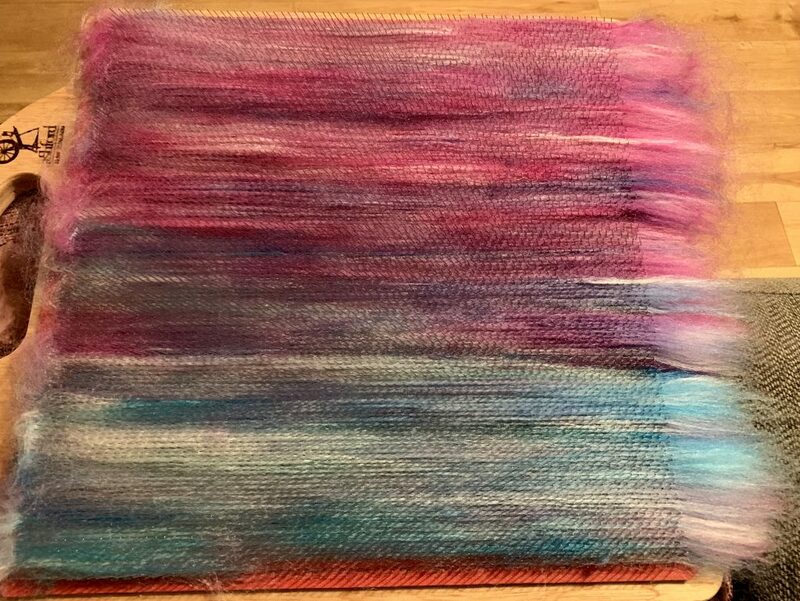 For the second half I grabbed my blending board again :o) I know I can get about 25g on my board comfortably so far, so I again split the fibre in half lengthways to make sure all the rolags had a similar colour mix. 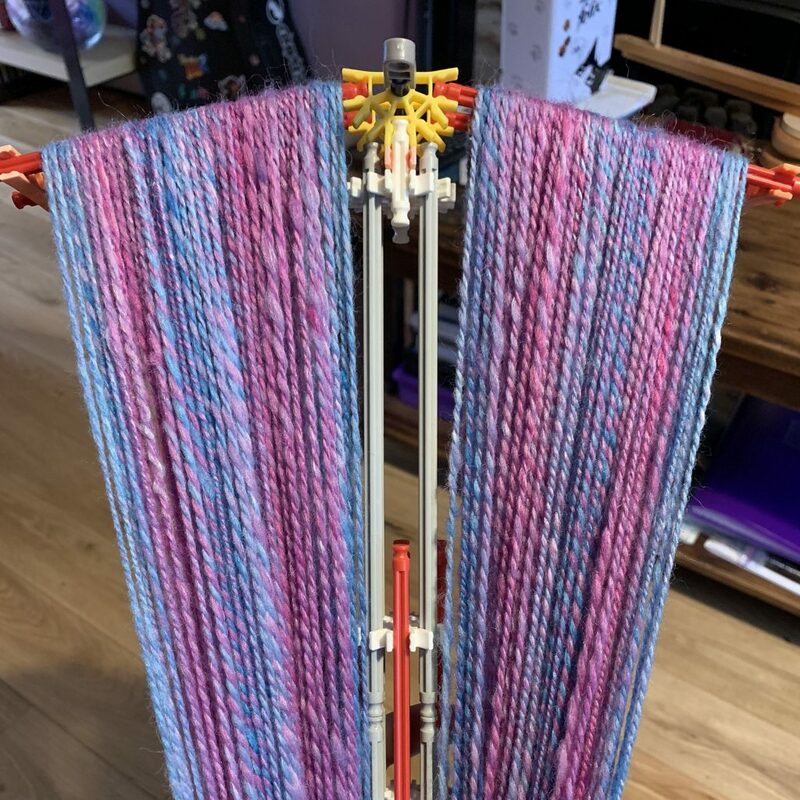 I just added the fibre straight from the long length onto the board, putting the blue patches at the bottom, the bright pink ones at the top, and purples in the middle. To get larger sections of the colours I opted to spin the rolags in alternating directions. The first from blue to pink, the second from pink to blue, and so on. This has given more clearly defined sections of colour in the final yarn. Although at the same time, by blending them, the colours are more muted – the bright pink has been calmed down a little. I’m not sure if that’s a good thing or not ;o) It was a little harder to spin from the rolags, but that might be because I’m not as used to them yet. I was pre-drafting the rolags through habit, and tried spinning straight from them for the second half which was actually easier. 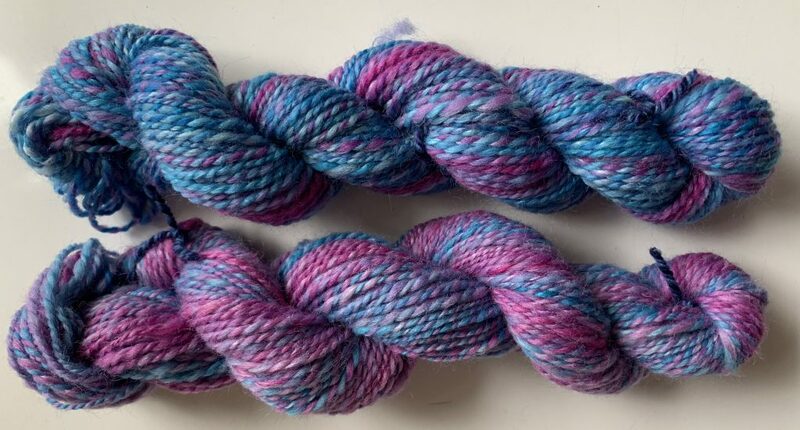 Here are both skeins before washing to show the difference in colours. This entry was posted on Tuesday, January 15th, 2019 at 11:15 am	and is filed under Spinning. You can follow any responses to this entry through the RSS 2.0 feed. You can leave a response, or trackback from your own site. Two very different looking skeins. 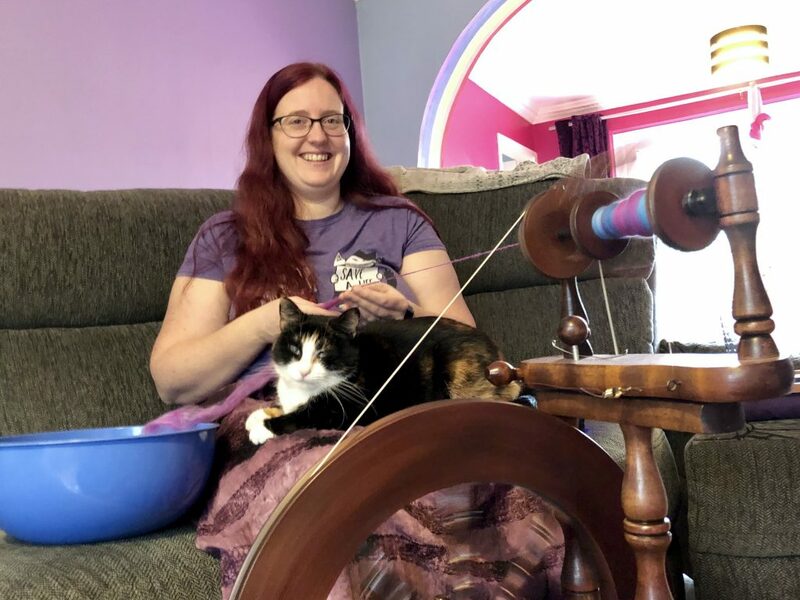 I really enjoy seeing your spinning and reading your blog with lots of photos.